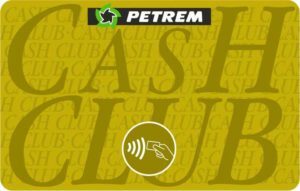 Petrem was the first company in Spain to develop and introduce cards for the identification and computerized control of supplies in all its facilities by means of POS terminals. It should be pointed out that both the software and the hardware for these terminals are manufactured by one company, located in Barcelona, in which Petrem is involved. Card aimed at transport professionals of all dimensions, service companies and individuals. It is a credit card with an invoicing periodicity and certain discounts for volumes. 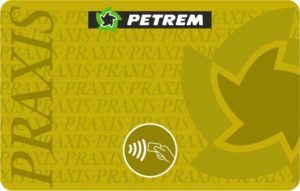 It can be used in all the Filling Stations throughout the Petrem network, 24 hours a day, for the purchase of fuel, accessories, in the shop, vehicle wash, parking, etc…, limiting according to each customer’s indications. This card shows the customer’s identification, the vehicle registration number and it comes with a secret PIN security number. Card for companies and individual customers that charges for the supplies in cash or with a bank card, entitling the customer to discounts and to receive the receipt for the purchases made. Credit card for customers who can use Discount Diesel in filling stations, whether for agriculture, heating, authorized machinery for public works or refrigerated lorries. The invoice is made out with your discounts. 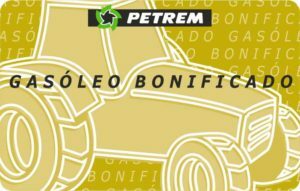 The Filling Station that have this service are: PETREM-MOLÍ, PETREM TRUCKS, PETREM SARRIÀ I.